This research platform is focused on the design and development of bio-inspired functional materials and coatings with emphasis on integration into biomedical devices. Biomedical devices span a wide range of apparatus, appliances and materials used for diagnostic and/or therapeutic purposes such as extracorporeal devices used in blood purification, point-of-care diagnostics, implants, and drug discovery platforms. The performance of all such devices relies on the effective interaction of biological entities with synthetic material. We focus on engineering the physical, mechanical, and chemical structure of the interface between biological and non-biological matter (i.e. the bio-interface) as a means for designing innovative, highly functional engineering platforms for biomedicine. More specifically we focus on designing effective bio-interfaces to minimize non-specific binding while retaining and enhancing the desired function of the bio-interface (e.g., attachment of specific biomolecules and cells, selective proliferation/differentiation of cells, avoiding biofilm and clot formation, etc). Recently, with the advances in miniaturization, Lab-On-a-Chip devices have started to play an important role for a wide range of biomedical applications such as point of care (POC) diagnostics, cell sorting, drug discovery and basic studies. A Lab-on-a-Chip (LOC) is a device fabricated using micro and nano-fabrication techniques that integrates one or several laboratory functions on a single chip of only a few square millimeters in size while consuming small biological sample volumes in the order of nano and pico liters. Reduction of time and cost of assays, precision in detection, high surface to volume ratio, portability and ability to design cellular microenvironments are the main advantages of LOC devices for cell detection and sorting. In our lab, we focus on integrating and incorporating our newly designed and engineered bio-functional interfaces into miniaturized LOC devices to enhance their efficiency for applications in diagnostics and drug discovery. Organ-On-Chip devices are biomimetic microsystems lined by living cells that reconstitute the key functional and micro-environmental features of whole organs including tissue-tissue interfaces, mechanical forces, fluid flow and relevant chemical gradients. These microfluidic devices can reproduce complex integrated organ-level responses to pathogens and inflammatory cytokines, as well as nanoparticles and pharmaceuticals; they also can effectively mimic disease states and complex pathophysiological responses. Organ-On-Chip micro devices lined by human cells may therefore expand the capabilities of cell culture models and provide low-cost alternatives to animal and clinical studies for drug screening and toxicology applications. Our goal is to develop 3D Organ-On-Chip micro-devices that reproduce key structural, functional, and mechanical properties of whole organs, including the lung, gut and kidney and implement these functional devices for drug discovery as well as personalized medicine where patient specific cells are used to construct the organ function in vitro to investigate personalized patient specific treatments. Before joining McMaster University in 2016, Dr. Tohid Didar was a postdoctoral fellow at the Wyss Institute for Biologically Inspired Engineering at Harvard University. There he designed and developed a robust and clinically relevant extracorporeal dialysis-like treatment (DLT) device for sepsis treatment, leveraging medical grade hollow fiber filters. He obtained his PhD degree in 2013 from McGill University. His doctoral research was focused on design and development of miniaturized devices for label-free and high-throughput sorting, detection and in vitro culture of primary and rare cells. During his PhD studies, he was a research fellow at Harvard University, a member of NSERC-Create Integrated Sensor Systems training program and a visiting researcher at the National Research Council of Canada. 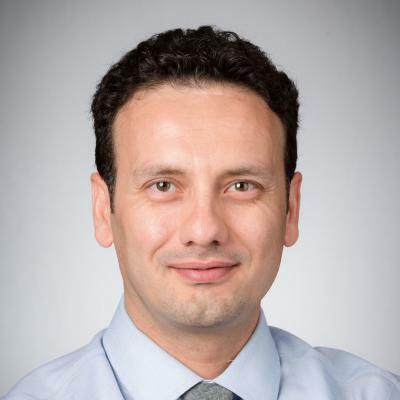 Dr. Didar has several patented technologies in microfluidics and bio-functional interfaces as well as over 50 journal and conference publications and invited talks. Living systems have evolved to tackle technological problems since the beginning of life and they outperform manmade solutions in many fields by far. They have learned to sustain themselves as a result of a fascinating evolutionary optimization over millions of years. In an other word nature has already designed and engineered fascinating solutions following millions of years of trial and error and has provided us solutions that are regarded as ingenious, stable and low-risk. We have always been fascinated by nature and have constantly made efforts to mimic it to solve our technological problems, a field that is now called “biomimetics”. Rapid advancements in science and technology have now made us to act beyond than just mimicking nature but understanding and implementing natural systems and their governing principles; that is “bio-inspiration”. This course presents an overview of engineering design concepts inspired from living systems and introduces selected and recent bioinspired technologies with a particular focus on technologies in the field of biomedical sciences such as diagnostics, therapeutics and drug discovery. The main topics will include: Introduction to biomimetics and bio­inspired engineering, Bio­inspired design, Bio­inspired materials, Self repellent coatings, Adhesive coatings, Nano­bioengineering, Biofunctional interfaces, Drug delivery systems, Bio­hybrid systems, Bio­inspired tissue engineering, Biosensing, Lab­on­Chip devices, Microfluidics, Organs­on­Chips, In vitro disease models. Scientists at McMaster University are developing a transparent patch to detect meat contaminated with E. coli.